Stopping smoking can be extremely difficult for thousands of people who find willpower alone is simply not enough to get them off the dreaded weed for good. Instead they invariably turn to the hundreds of so-called “miracle” fixes on the market, often paying substantial sums of money for very disappointing results. However, the anti-depressant, Zyban, if used correctly and in consultation with a doctor, has delivered impressive results by training the brain to “forget” the cravings associated with smoking. 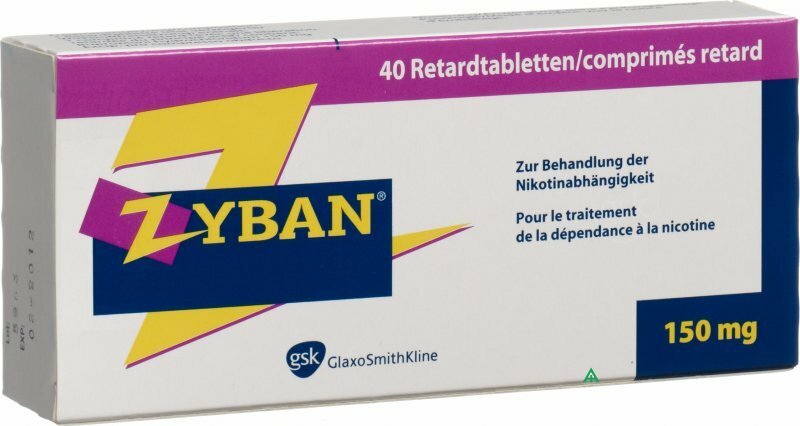 Zyban is the trade name of the drug "bupropion" and it was approved as a stop smoking aid in 1997. The same drug, was previously and still is known as an anti-depressant and is manufactured under the name of Wellbutrin. The manufacture of Zyban began after smokers taking the anti-depressant medication Wellbutrin (another name for Zyban), reported that their nicotine dependence seemed to diminish, to the point where it was actually preferable to stop smoking rather than continue. Zyban has been produced in the form of a pill, which is taken twice a day and is only available on prescription from a doctor. It cannot be bought over the counter at present. Zyban works on the brain by boosting two chemicals that release feelings of well being and enjoyment. This in turn reduces the severity of the withdrawal symptoms as well as reducing the urge to smoke at all. The course begins one week before giving up smoking, so initially patients are taking Zyban whilst continuing to smoke. This is because it takes time for the Zyban to reach the necessary levels to be effective. However, some patients can start to feel “off cigarettes” within hours. During the second week, a stop smoking date is selected and the medication continues for a further 7 - 11 weeks. If smoking doesn’t cease on the chosen date, a new one should be targeted, as close to the original as possible. The tablet should be taken twice a day, once in the morning and again in the evening, or with at least 8 hours between doses. The pill should be taken with water and swallowed whole. It should not be chewed, crushed or divided. Each tablet is a 150 mg dose. For the first three days, only one dose is taken and then for the rest of the treatment course, this is increased to a dose of 300 mg. No more than 300 mg should be taken in any one day. Clinical studies have shown that withdrawal symptoms are reduced, especially feelings of irritability, anxiety, anger, poor concentration, restlessness and depression. Success rates in quitting smoking range between 15% and 25%, although one study did show the success rate to be more than double these figures. Another, from the New England Journal of Medicine concluded that almost one in three users of Zyban required no further stop smoking help. Zyban is relatively new and studies are still being carried out concerning the effects and safety of the drug. The main concern is that it may cause seizures or convulsions and certain people are more at risk than others. It has been estimated that one out of every thousand users will suffer a seizure whilst using Zyban. For this reason, the 150 mg single dose should never be exceeded. Those taking the drug in the form of an anti-depressant (Wellbutrin) should never take Zyban at the same time. The same goes for people being treated for anorexia nervosa or bulimia, as they are at an increased risk of suffering seizures or convulsions. Zyban will not be prescribed without a doctor's consent, and only after taking into account and adjusting any existing medication. The most common side effects reported with use of Zyban are sleeping disorders, dry mouth and headaches. The side effects are usually mild and disappear after a few weeks with continuous use. Other common side effects are stomach pains, vivid dreams, changes in bowel movement, muscle and joint pain, coughing, lack of concentration, itchiness, sore throat and nausea. If side effects persist, stop taking zyban and consult a doctor. ted diseases cause an estimated 440,000 American deaths each year. s the United States over $150 billion annually in health care costs. People with milder forms of migraines can use over-the-counter medications to free themselves of this ghastly affliction. Two other non-prescription treatments are hot or cold compresses and alternative medical care. Migraines are more common than most people know, and many folks with these horrid headaches end up going to an ER to find a way to end the pain. Although no one knows precisely what causes this neurological disorder, according to Dr. Scott Fuller in the article "What is a Migraine? ", migraines are believed to be related to the dilation and constriction of blood vessels in the brain, and the resulting changes of oxygen flow to the brain. Migraines are not ordinary headaches. Many people, who have never had a migraine view migraine sufferers as babies who complain about every little bump and bruise and smell and sound, but migraine pain is impossible to describe to those lucky individuals who have never had one. It cannot be stressed enough: A migraine is no measly little headache. These monsters feel like a combination of having the flu and getting a couple of whacks to the skull. And, because migraines are so individualized / idiopathic, a drug that works for Suzy may do absolutely nothing for Sam. Many migraine sufferers go undiagnosed. Therefore, it is a good idea to see a doctor to verify that a headache is, indeed, a migraine and not a symptom of another underlying medical problem. Some migraine sufferers are helped by over-the-counter medications. According to "Migraine: Treatment and Drugs", mayoclinic.com, "...medications, such as ibuprofen (Advil, Motrin, others) or aspirin, may help relieve mild migraines." Check with a pharmacist or physician to make sure that there will be no complications or interactions with one's current medications. Another simple treatment, that needs no prescription, is the use of hot and cold packs. (Try hot or cold compresses in a dark, quiet room, at the beginning stage of a headache.) Unfortunately, the only way to see if “temperature therapy” works is to try different applications and variations of hot and cold. Here are some non-traditional therapies that may help to prevent headaches, and are mentioned in "Migraine: Alternative Medicine" at mayoclinic.com. Migraine sufferers should ask their doctors about these therapies. People with less severe migraines may be able to find treatments that don’t use costly prescription medications. Over-the-counter analgesics, hot and cold compresses, and alternative therapies do not work for all migraine sufferers, but they are good treatments to consider before bringing out the big guns. Headaches of all kinds can be a symptom of a more severe condition. Please check with a doctor about using OTC medications. Information from this article is not intended to be a substitute for advice from a physician or other professional. Please consult a professional for specific advice. Going to a new doctor does not have to be an overwhelming experience. The key is to be prepared ahead of time. Following are some ideas to get ready to see a specialist for the first time. The first thing to understand is what the purpose is of being referred to a specialist. What does the general practitioner hope to accomplish by sending the patient for more specialized care? Will it be the patient’s duty to report the findings back, or will the two doctors be in communication over the medical condition? Ask the general practitioner who he or she recommends as a specialist, but don’t stop there. For instance, if the other doctor will be a neurologist, rheumatologist, high risk ob/gyn, etc, ask friends and family for recommendations as well. Often others' personal experience can be very valuable in making big decisions like this. The internet can also be a valuable recourse for reviews of doctors and medical centers. Do some homework before choosing a doctor. Check with the insurance company to find out what doctors are covered and what the patient’s financial responsibility will be. Also ask if a written referral is necessary, and obtain one from the general practitioner if required. Sometimes, if the situation is not urgent, there can be a waiting period of a few weeks or a month before the appointment. Use this time to collect all medical records to bring to the appointment. Also prepare a list of any medications being taken, both prescription and over the counter. Start thinking of questions to ask the doctor, and make a list to bring. It’s a good idea to bring a family member or close friend to the appointment, both for company and to ask any questions that may have been forgotten. Four ears can also listen better than two, and when a patient is nervous, it can be helpful to have someone else there to listen to instructions. Check the route to the medical center or office ahead of time, especially if unfamiliar with the area. If possible, it’s even a good idea to take a dry run there a day or two before the appointment so as to feel comfortable with the directions. Plan to arrive at least 20 minutes before the appointment time. This will allow time for filling out paperwork and getting settled and calmed down before the appointment. Fill out all answers honestly and thoroughly, this makes it much easier for the doctor to know what’s going on. If possible, clear the rest of the day of responsibilities, that way if the waiting time is longer than anticipated or the appointment itself is lengthy, there will be less stress. Seeing a new doctor can be stressful in any situation. Often, if a specialist is getting involved, it may be more so. Being prepared ahead of time and having everything in order on the day of the appointment can make the situation much easier to deal with. The National Council on Aging reports that one third of all chronically ill people say they leave a doctor's office or hospital feeling confused about what they should do to continue their care; 44 percent of people (aged 44 and older) with chronic conditions want their doctors to spend more time talking with them; and 57 percent report that their healthcare providers have not asked whether they have help to manage their conditions at home. 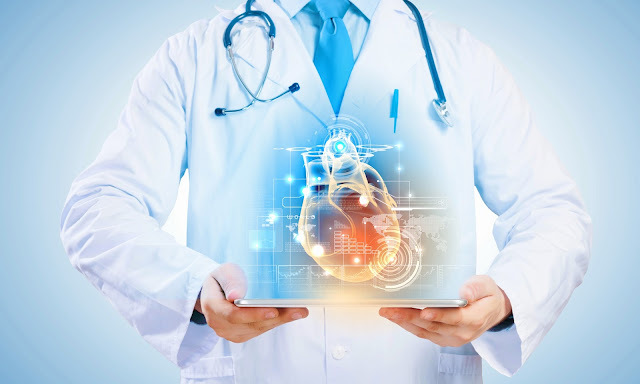 Most of these concerns arise from the fragmented nature of health care delivery in America and the fact that there's often a gap, a disconnect in the amount of digital health information and the exchange of data among providers, patients and caregivers. How often do patients go in for routine tests but never receive a call about their results, good or bad? 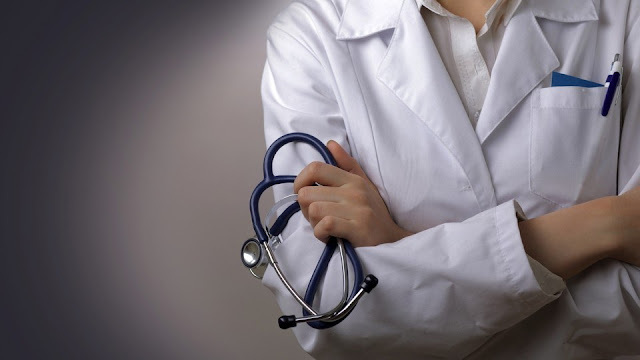 Why do some patients wait hours to see a physician, only to spend 15 minutes in the exam room and not have all of their concerns heard or addressed? The healthcare system today is so taxed that physicians often feel pressure to see as many patients as possible, in the shortest amount of time. Though it's a sad state of affairs, the impact can be minimized through today's increasing reliance by society on mobile devices, which can lead to better patient-provider interactions. 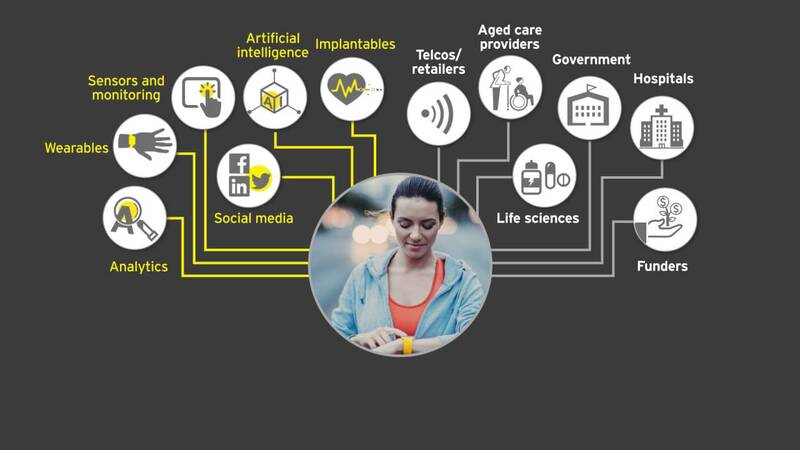 mHealth, participatory health and participatory medicine are just a few terms that address this new area of healthcare but what do they all mean? According to the mHealth Initiative, only one year ago, many people didn’t know the meaning of the term "mHealth." Now more and more individuals are familiar with the term (also written as m-health or sometimes mobile health), a recent moniker for medical and public health practice supported by mobile devices. With the lofty, ambitious and admirable goal of connecting providers, patients, payers, and others came a complement to this endeavor, the idea of better communication in healthcare through participatory health. Most experts define participatory health as a partnership between patients and providers and trusted experts, one in which participation is enabled and enhanced by technology such as the Internet and mobile health platforms. Participatory health is also sometimes referred to as participatory medicine, a movement in which networked patients shift from being mere passengers to responsible drivers of their own health, and in which providers encourage and value them as full partners, according to the Society for Participatory Medicine. To this end, companies like Healthetreatment strive to enable individuals to share health and wellness knowledge so that others diagnosed with the same or similar conditions can learn from their experiences. Simply put, the site is creating a catalog of health conditions, symptoms and treatments compiled by real people. According to Mike Bennett, the founder of Healthetreatment, user-generated health information is more robust and more current than existing medical resources. The key to being current and comprehensive, in his view, is to keep people coming to the website to provide the latest information on their condition. By linking the patient back to his or her physician or healthcare provider, the m-health and participatory medicine movements will go a long way toward ensuring that patients receive the best possible care and that they play a critical, central role in their own health and well-being. As the e-patient movement gains momentum, the power of the online crowd will grow, allowing for improved medical outcomes and quality of life through better healthcare communication. Scoliosis is a condition where the curve of the spine, or backbone, is not aligned correctly. 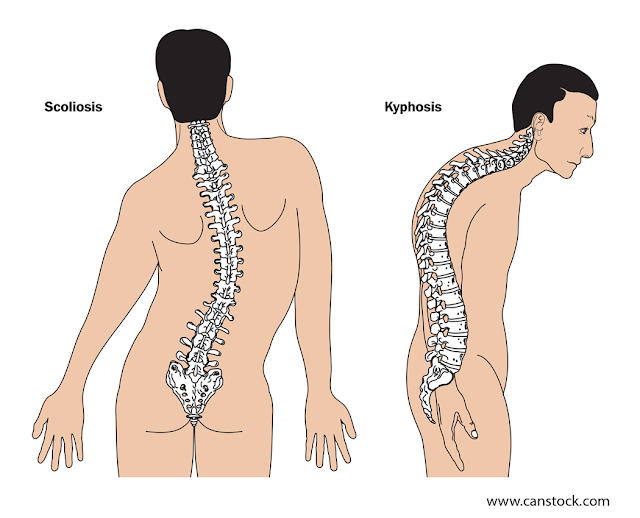 In a person with scoliosis, the spine curves from side to side instead of in a straight line. On an x-ray, the shape of the spine may look like the shape of the letter S or the letter C.
According to the National Scoliosis Foundation in its “Information and Support” section, scoliosis affects two to three percent of the population. An estimated six million people in the United States has some type of scoliosis. There are five main classifications or types of scoliosis which relate to the possible cause. The most common class is called idiopathic, which means the cause is unknown. This class is further broken down into subclasses which describe the age of onset. Idiopathic scoliosis is sub-classified as infantile, juvenile, adolescent or adult. The second class is called congenital scoliosis. In this class, the abnormality of the spine existed at birth or the cause was due to vertebral abnormalities that were present at birth. The third class of scoliosis is called neuromuscular. Neuromuscular scoliosis develops as a result of a secondary problem of another medical condition. Conditions such as spina bifida, spinal muscular atrophy, marfan’s disease, cerebral palsy or some kind of physical trauma can impact the formation of the spine as well as the curvature of the spine. The fourth type is called functional scoliosis. An abnormal curvature of the spine develops because of a problem in another part of the body. One leg being shorter than the other, frequent back spasms or pain in the hips and knees can, over time, impact the normality of the curve of the spine. The fifth class or type is called degenerative scoliosis. This type is more often seen in adults and is caused by changes in the spine due to age. Some conditions that lead to curvature of the spine due to age include arthritis, weakening of ligaments, muscles, and soft tissue and development of bone spurs. Most cases of scoliosis are mild with slight noticeable changes in the body. Most cases do not cause pain. A person with scoliosis may notice that his clothes do not fit as they did before. Or, he may notice that one pant leg is longer than the other. Other signs of scoliosis may include uneven muscle formation on one side of the spine, a more prominent shoulder blade or rib prominence. The lengths of the hips or the shoulders may be uneven. A female may notice that one breast size or location is slightly different from the other. In severe cases, scoliosis can cause more severe symptoms. A person may experience slower nerve action or aches and pain, especially in the back. Due to the asymmetry of the chest, a person with scoliosis may find it more difficult to take a deep breath or may have periods of shortness of breath. In the severest of cases, pressure on the heart and lungs can cause circulatory and more serious breathing problems. And, finally, severe scoliosis can restrict a person’s physical activity and mobility, according to the article “Scoliosis Symptoms” on the Mayo Clinic website. The treatment or the management of scoliosis is determined by the type of scoliosis, the severity, the person’s age, likelihood of progression and the symptoms. There are four conventional treatments that include observation, physiotherapy, bracing and surgery. Observation involves routine evaluations and x-rays by the physician. Treatment of idiopathic scoliosis will be based on the age when it develops. If the spinal curvature is minimal and remains below a certain degree, no other treatment is needed. If during the observation period, the spinal curvature progresses, a brace may be recommended. Bracing may be more effective in the juvenile idiopathic type of scoliosis because it is this type that has the greatest tendency to progress. The goal of bracing is to prevent the curvature from getting worse until the adolescent has finished growing. When bracing is not meeting this goal, a more aggressive type of treatment may be indicated. In the neuromuscular scoliosis types, bones of the spine have developed abnormally and it is this type that most often will require surgery to stop the spinal curvature from getting worse. When the progression of the curvature causes lung and heart problems, surgery may be the only effective treatment. With functional scoliosis, the type where the abnormality is caused from somewhere else in the body, treatment is not directed on the spinal curvature. Treatment in these cases, if treatment is necessary, is focused on relieving the symptoms and correcting the source of the problem. A person with degenerative scoliosis or a type of scoliosis that is causing pain, especially in the back, will be treated with pain relieving methods. Some treatments that could be recommended here are physical therapy, exercises, chiropractic intervention, bracing and pain relieving medications. If these and other pain relieving measures fail, surgery may be the only solution. Dr. Mache Seibel, a professor at the University of Massachusetts Medical School uses music to promote health education. HealthRock® uses contemporary songs to convey lessons on how people can live healthier lives. They are encouraged to make common sense lifestyle changes. The technique uses a variety of musical genres from gospel to pop, he said. The musical technique has won recognition for its effectiveness from many publications and organizations. It is available in recordings and live performances at the Centers for Disease Control and Prevention and elementary schools. The technique is available at other locations too, Seibel added. According to the CDC, chronic health problems, such as cardiovascular disease, cancer and diabetes are among the most prevalent, costly and preventable health problems. “The fundamental problem is that 90 million American adults and most American children are health illiterate. They don’t know how to keep themselves and their family members well,” he said. To address these problems, he wrote songs that targeted specific health-related illnesses, such as obesity. “Phat Fat Rap,” “Exercise” and “Don’t Be Afraid of a Squash” are meant to encourage exercise and eating habits that fight obesity. Kathryn Farinholt, a Catonsville, Md., resident, developed a four-step technique that teachers, nurses, supervisors and human resource people can use to deal with difficult employees, students and patients. Farinholt, who holds a doctorate, created the Defusing Difficulties course and began teaching it to her American clients. Now, she is ready to market the technique to health care providers, educators and stress management teams. On Sept. 10-11, 2009, Farinholt presented her technique to the Mid-Atlantic Association of Community Health Centers 2009 Annual Meeting and Conference. The technique was well received. Farinholt plans to teach the course Oct. 15, 2009, at the Howard County Community College in Maryland. Although Farinholt does not have a health background, she does have an educator background and has had situations dealing with difficult people. She developed the technique to help her cope with those situations without causing additional problems. Those who have mastered the technique have reported their difficult problems disappeared once they applied the technique. To master the technique, Farinholt said, health care providers must give it three weeks. They are taught to try it three times a day. She also recommends parents and spouses to use the technique in family situations that are usually highly emotionally charged. These are two techniques that could revolutionize treatment for medical problems or stressful situations.